The combination of the main features like customized air distribution furnace system, quick door opening, heavy duty lifting mechanism and quench tank with required agitation makes this furnace as the ideal equipment for aluminum heat treat of the castings and forging parts. Drop bottom furnaces are the easiest equipment to complete the solution heat treatment and T6 in a batch configuration. 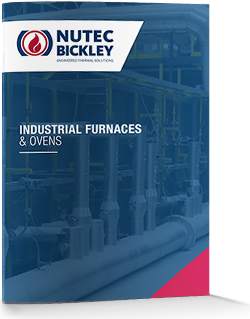 Nutec Bickley provides custom Drop bottom furnaces sizes to match the customer production and process requirements. Heavy duty mechanism for load lifting and quenching. Quench system specifically designed depending of product in order to provide excellent quenching results.